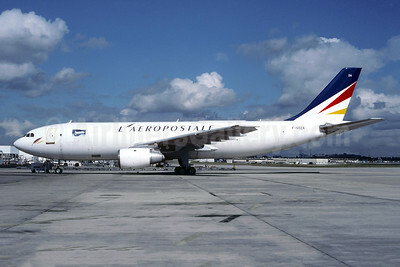 (formerly ICS-Inter Ciel Service) (Société d'Exploitation Aéropostale) (5S/FPO) (Paris-CDG) 1991 - 2000 (acquired by Air France, became Europe Airpost). Photos. Framable Color Prints and Posters. Digital Sharp Images. Aviation Gifts. Slide Shows. L'Aeropostale Airbus A300B4-103 (F) F-GOZA (msn 148) CDG (Christian Volpati). Image: 945464. 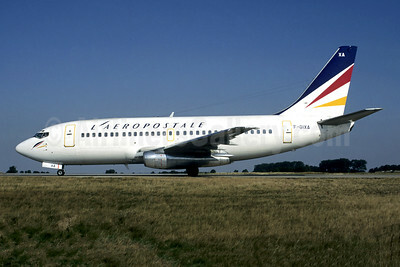 L'Aeropostale Boeing 737-2K2C F-GIXA (msn 20836) CDG (Christian Volpati). Image: 943197. 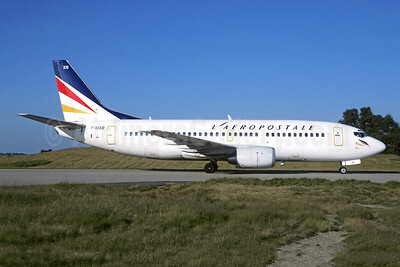 L'Aeropostale Boeing 737-33A (QC) F-GIXB (msn 24789) CDG (Christian Volpati). Image: 946198.